When starting your website or your blog, choosing the right domain name is crucial to ensure that you maximize the visibility of your website. It is similar to choosing a name for your company – it requires a lot of thought and consideration. Choosing the right domain name for your website deserves hours of thought, if not days. It’s no exaggeration to say that, making a wrong choice of domain name can cost you your business. In short, you need to ensure that you choose your domain name right if your website will serve a commercial purpose. Choosing the right domain name helps in making your website, and your brand stand out from the competition and makes it recognizable. But finding the perfect domain name isn’t as easy as it’s perceived, as most of the perfect domain names are already taken. In this post, we’ll share all the tools and tips you need to get domain name ideas, choose the best domain name, and register your new domain. When starting your blog or your website, choosing the right domain name can be stressful because you don’t want the hassle of changing it at later stages. To make the process of choosing the domain name easier for you, we have listed a few tips and tricks to select the perfect domain for your website. Remember: The domain name of your website/blog is how visitors will find you, remember you, and share your website. It is the foundation of your brand. Brandable domain names are unique, catchy and easy to remember. Choose a domain name that’s brandable – it should sound like a brand when heard or read. Brandable domain name is what makes you stand out in your visitors’ mind. Hyphens, numbers and special characters are a real problem when it comes to domain name since they fail to sound like a brand. ExquisiteInteriors.com sounds brandable, is unique, memorable, and stands out. If your domain name is complex and long, there is a risk of customers misspelling your domain. Length of your domain name matters because of the processing fluency. The fewer characters a domain name has, the easier it is to type and remember, and the less it gets shortened. It’s always a good idea to keep the domain name for your website under 15 characters. Keywords help to improve search engine optimization. By using keywords, you tell the search engine what your website is about. If you choose to use keywords at the start of your domain name, that’s where they’ll be most powerful in your domain name. If it’s hard to find a domain with your target keywords you’ll need to be creative about it and combine keywords with other words to make your domain name stand out. Moreover, using exact keywords doesn’t improve SEO as it did once, but still, it makes people click on your link more if your domain name contains your keyword or similar keywords, Increasing chances for ranking over time. There are plenty of domain name extensions available including .com, .net and .org to niche extensions like .info, .biz, etc. and the new extensions launched some time ago. We always recommend choosing a .com domain. While it seems cool to come up with clever blog names using new extensions, a .com domain is still the most established and credible domain extension. If you have a website named wills.photography, and your users accidentally type in wills.photography.com, they will end up landing on an error page on photography.com – it’s smart to avoid that risk by sticking with .com extension. Also, not to mention, most of the smartphone keypads have a .com button. If you’re unable to find a domain with .com extension, my suggestion would be to use .net or .co extension. Avoid creating domain names with hyphens or special characters, such domains are prone to typos and can be considered a sign of spam domains – which you do not want your website to be associated with. You wouldn’t want to give that impression to your potential visitors. Would you? If you choose your domain name with hyphens or special characters because the domain that you want is already taken, the users will end up landing on your competitor’s website if they ever forget to type the special characters. It’s never a good idea to use domain names with doubled letters. It increases the chance of losing traffic to your page due to typos. For instance, a domain name like WordPresssetup.com will be prone to more typos and result in losing traffic to your page. Register your domain name as soon as possible, they sell quickly. If you have trouble finding a domain name, there are domains registrars that will help you come up with domain name suggestions for your website/blog. The important thing is to don’t waste too much time, If you have found a domain name you like, register it right away, or you might lose it. Trademark infringement can be really worse. And, while we hardly realize that someone registers a domain name with the intent to infringe trademarks, such incidents do occur every once in a while. 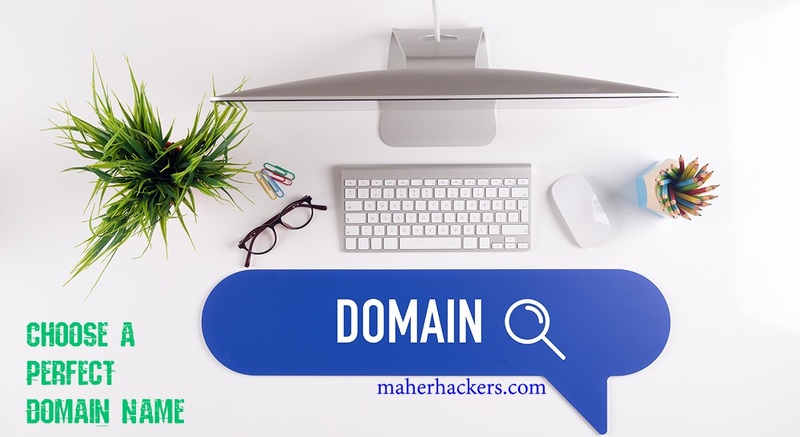 Therefore, whenever you have an idea about what domain name to choose and you’re about to register it, simply search for the term on Google and look for all the top ranking pages to see if the name is being used by any business and is legally owned. Note: This is the most important thing to do when registering a domain. In certain cases, the domain name that you’re trying to register might be abandoned by the previous owner. Wayback Machine, who.is and a couple of other tools available on the internet allow you to check the history of the domain name you’re planning to register. Domain Registrar is a company that registers your domain name and gives you access to it. The key to registering a domain name is to choose a trustworthy company if you don’t want to get stuck into domain related problems at later stages – you wouldn’t want to lose a domain after your brand name is established. Some domain registrars even hike up renewal prices way too much, so always a smart idea to go with a trustworthy domain registrar. Nothing can be more frustrating than to know that the perfect domain name you just came up with is already taken. To avoid such heart-wrenching situations, it’s better to come up with a list of at least 5 potential domain names ideas. There are multiple tools available on the internet that can help you generate a good domain name for your website or your blog. Using a domain name generator is a very option that you can use to kick start your creativity. There are multiple domain registrars available on the web. It’s always better to check for the credibility of domain registrars because you don’t want to lose your domain after establishing your brand domain registrations. The price for domain registration ranges from $10 – $25 approximately. Whereas, there are certain web hosting companies that offer domain registration for free with Hosting. If you are starting a new website or a blog, taking advantage of such offers is a smart idea for you. 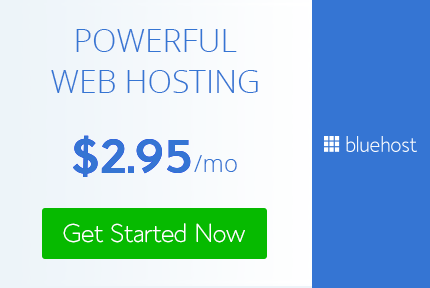 Bluehost (read full Bluehost review)– world’s most popular web hosting provider know to provide quality hosting at affordable prices. SiteGround (read full SiteGround review) – most trusted hosting provider with best hosting support. A2 Hosting (read full A2 Hosting review) – powerful hosting service and cheap prices. WPX Hosting is a perfect choice if you need a powerful hosting solution for WordPress sites. You can get your web hosting services for as low as $1.99 per month with free domain name registration. Note: It’s important to know that most of the companies proving free domain name registration do so for the first year. After the first year, you’re charged for keeping the domain name. Blogger Vs WordPress: Which is the Future of Blogging? You might want to spend hours generating a perfect domain name or you may use a domain name generator to do so. No matter what choice you make, the principles and the tips for coming up with a perfect domain name remains the same. You have to ensure that the domain name you choose is going to inspire the visitors and represents your brand! Reading through this article will help you to note down the most important things that you need to keep in mind when coming up with a perfect domain name for your website/blog and while registering it. It will give you an insight on how to do it perfectly. So, make sure to use these 12 tips to choosing a perfect domain name. I would love to hear about the domain name choices that you made and about what do you think is working in 2019, Do comment! Next Post: Affiliate Marketing Vs Google AdSense: Which is More Effective?